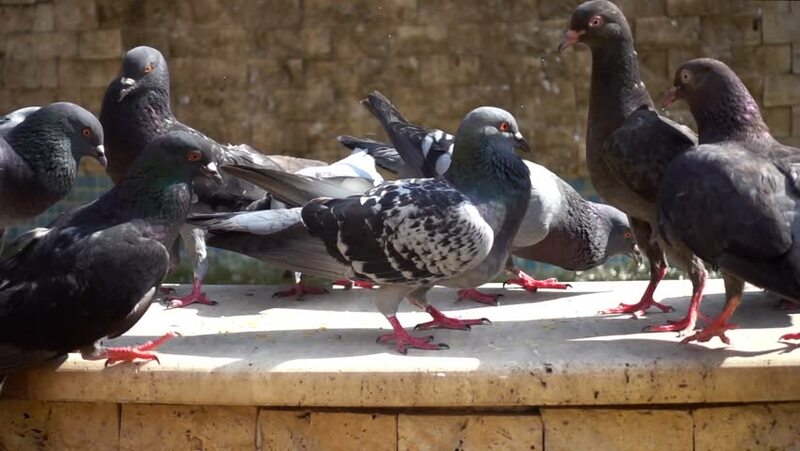 Close-up shot of a flock of pigeons near on the fountain in park. They are flying around and walking on the concrete as they feed on the grain in slow motion. 4k00:31Two adult Egyptian geese (Alopochen aegyptiaca) with their goslings walking in the road. 4k00:09KATHMANDU, NEPAL - 2 JANUARY 2015: Pigeons are being fed by tourists on Durbar Square in Nepal.